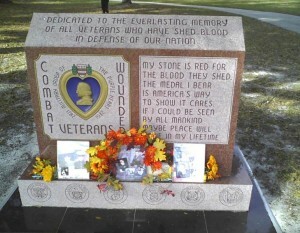 Home /Military/Orlando veteran’s park pays lasting tribute to fallen soldiers. ORLANDO – It’s a quiet oasis in a major metropolitan area — and a very sobering spot as well. The natural beauty offered there is instantly inviting. There are moss trees all around, and along the lake are pedestrian sidewalks and bike paths. A bit further from the lake is a gazebo to relax in. It’s a public park where the pictruesque splendor of Lake Baldwin is appealing for an afternoon walk on a mild winter day. But this section of Baldwin Park offers area residents and visitors alike something else: a reflection of the nation’s past, and a tribute to those who made possible the freedom to walk through this park in the first place. There are eight monuments along that pedestrian sidewalk, in a section of the City Beautiful known as Orlando Veteran’s Memorial Park. 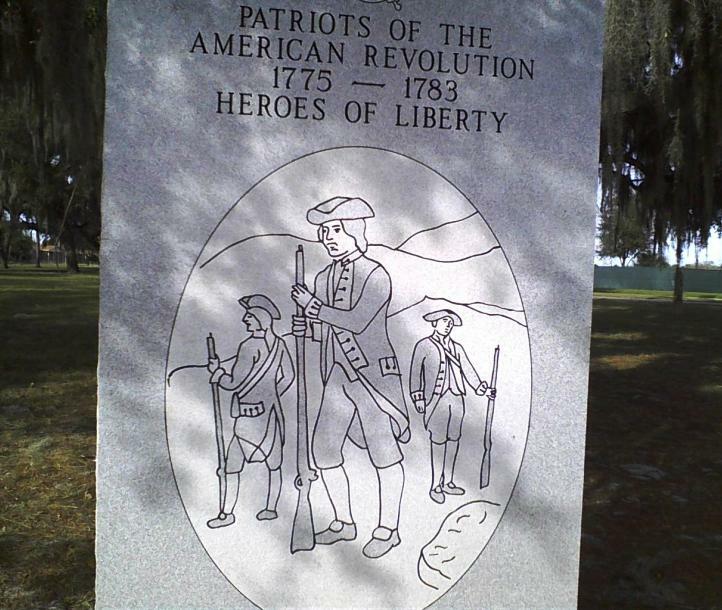 Dedicated on Dec. 7, 2007 by Mayor Buddy Dyer, Orlando Veterans’ Memorial Park was created on four acres of land on the north shore of Lake Baldwin, on the border of Orlando and Winter Park. It is connected to the Lake Baldwin Park trail. Located at 2380 Lake Baldwin Lane, the park hours are from 5 a.m. until sunset daily. It remains a tribute to not only local veterans, but also to this nation’s history of perseverance in the face of conflict. But not all of the monuments reflect a very different era. 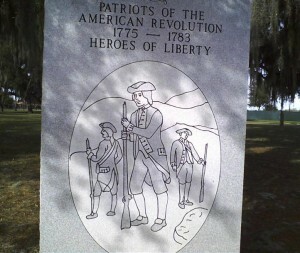 Orlando Veteran’s Memorial Park, dedicated on Dec. 7, 2007, reflects back on this nation’s history. (Photo by Dave Raith). At the Museum of Military History on U.S. 192 in Four Corners, there are rooms devoted to reflecting back on every military conflict this nation has been involved in, from the Civil War right up to Vietnam and the Gulf War. The museum has collected historic items donated by local veterans, from uniforms to weapons used in war, to photos and letters written in those bygone eras. The artifacts look back at veterans who serves in very distant decades, in conflicts that are now chapters in American history books and studies of past wars. But the Museum of Military History also has rooms devoted to the recent, decade-long conflicts in the Middle East – and the very young faces of the veterans who have served in Afghanistan and Iraq. Likewise, the Orlando Veteran’s Memorial Park has a monument that provides a somber reminder that today, many of this nation’s veterans are not seniors, but are in fact young enough to barely be out of high school. The photos on one monument, of LCPL Eric Levi Ward, offer a stark and vivid reminder of that. Born on Aug. 17, 1990, he was killed on Feb. 21, 2010, just 20 years old. This was a soldier who committed to serving his country, and then paid the ultimate price in defending our freedoms.  His photo show a baby-faced young man, smiling and happy. There are also photos of PFC Jason Estonpinal, killed on Feb. 15, 2010, and LCPL Adam Peak, who died on Feb. 21, 2012 in Afghanistan – sad reminders of the toll these wars have taken on the lives of so many very young soldiers. The park was a project completed by the Central Florida Veterans Memorial Park Foundation, Inc., which was founded in 2003 as a 501c(3) non-profit. The foundation wanted to create the memorial park adjacent to Orlando’s VA Medical Center, which has a chapel and long-term care residence. The park cost more than $3 million to develop. Today, with its view of Lake Baldwin, the Orlando Veteran’s Memorial Park is a pleasant and relaxing spot to visit for some quiet time away from urban traffic, noise and crowds. Monuments by the Daughters of the American Revolution or the Italian-American War Veterans of the United States Post #4 offer a historic lesson for those who want to learn more about how this nation defended itself to become what it is today. 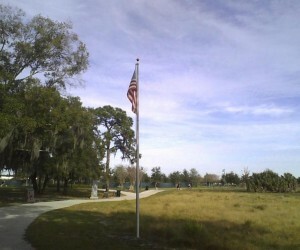 The flagpole donated by the Fleet Reserve Association, Branch 117 in Orlando makes the park an ideal place to experience the rousing feeling of American patriotism. But as that monument dedicated to the soldiers who fought so bravely in Afghanistan and Iraq demonstrates, there are sacrifices made in the defense of freedom, and those who took on that challenge to defend this nation’s ideals deserve our eternal gratitude. 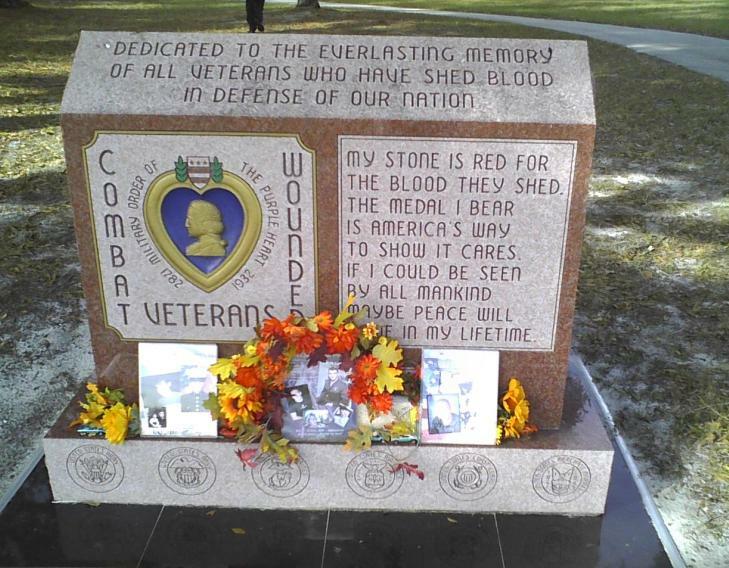 To learn more, log on to Orlando Veterans Park. Unicycles, gospel singing, and Stuff: That’s Amway entertainment. i Salute all those soldiers and proud to be running a salon in this city..